Emigrating from one county to another has it's advantages. These vary depending on where you immigrate to, but a common reason is to find a better quality of life. Whether it's an individual or an entire family that's emigrating, these advantages may be opportunities not available to them in their county of origin. People who emigrate may do so for financial reasons. One reason to emigrate may be to avoid inflation with higher costs, and the country they are leaving may not be providing adequate pay. The economy in the country where the person decides to immigrate to may offer better chances for job advancement, higher pay rates and more employment opportunities. Others may leave their country of origin for financial reasons alone. Often those who find jobs are able to send money back to their families. Different countries have different educational systems and some may be better than others. A family or individual may find better educational opportunities when they emigrate. Students in all grade levels may be able to attend better schools from elementary to universities. A public school in a third world country, for example, mayl not offer the same level of education as a public school in developed countries. Better educational opportunities may translate into better work opportunities. When someone moves to another country, they may find religious freedom. Religious freedom was declared in 1948 by the United Nations as a universal human right. However, many countries do not allow its citizens to practice their religious beliefs. Some countries have severe restrictions when it comes to freedom of religion, including Afghanistan, Iraq and Saudi Arabia, for example. Emigrating to another country such as the United States gives immigrants the opportunity to practice their religion. Health benefits may refer to better health care, having a healthy home environment, better housing conditions, access to better medicine or the opportunity to stay fit through recreation. The 2008 fact sheet on "Immigrants and Health" from the Public Policy Institute of California states that immigrants are healthier than U.S.-born residents and they have longer life expectancies. Although there's no clear explanation for it, in what is known as the "Healthy Immigrant Effect," immigrants to the United States and Canada have better health outcomes than those who were born in the country. Romualdez, Veronica. "The Advantages of Emigration." 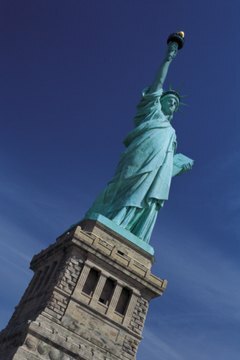 , https://legalbeagle.com/12492028-the-advantages-of-emigration.html. 18 October 2017. What Is the Meaning of a GMP Clean Room?